Children’s minds are young and easily influenced. They don’t yet fully understand the world at large, therefore their free to let their imaginations fill in the blank spaces. Sometimes they can see beauty and wonder where adults do not. Other times, they can see horrible things. 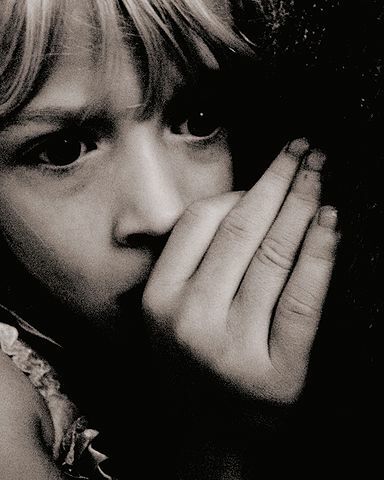 How do you help your child overcome their fears, especially things like a fear of the dark or monsters in the closet? Well, there’s no solid answer for that. Every child is different, developing these fears at different ages and at different levels of intensity. Therefore, it’s important to approach each on a case by case basis, even if the children are siblings or close in age. It’s important to speak with a child and try to understand their fear. Find out when they get scared and why they think they are in danger. Don’t belittle or ignore their fears. Instead, explore their fears with them. In the day time or night time, look in the closet or under the bed with them. Help them see for themselves that there is nothing to be afraid of. Do you have any techniques for helping children overcome their fears? Let us know and leave a comment below. This entry was posted in Closet, Home, Wardrobe and tagged Closet, fear, imagination, monsters, trauma. Bookmark the permalink.